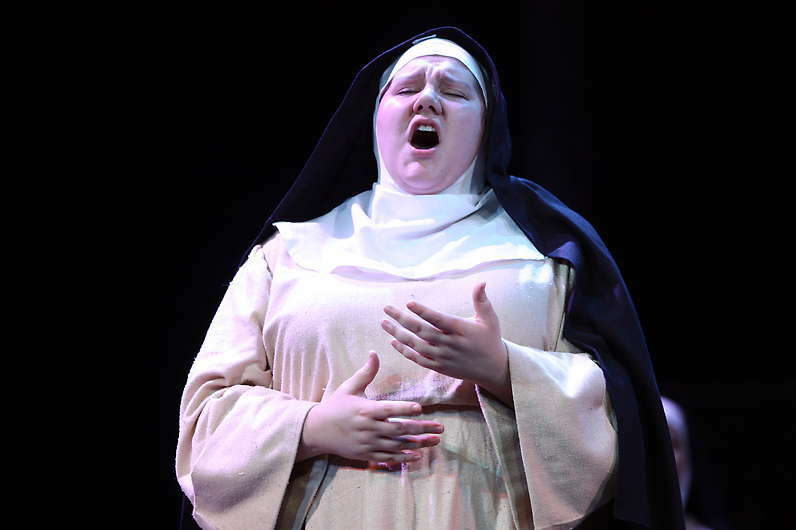 Upon hearing the news that her estranged son—the baby whom she “saw and kissed only once”—died two years ago, Felicia Moore (PDPL, Voice ‘16), playing the title role in Mannes Opera’s performance of Puccini’s Suor Angelica, collapsed to the ground. “Senza mamma, o bimbo, tu sei morto!” (No mother, or child, you’re dead!) She sang, throwing her hands up to the sky. The bleating pain in her voice gathered strength and, upon hitting a high devastating note, cascaded through the Kaye Playhouse at Hunter College. Her grief lingered as the audience erupted in thunderous applause. 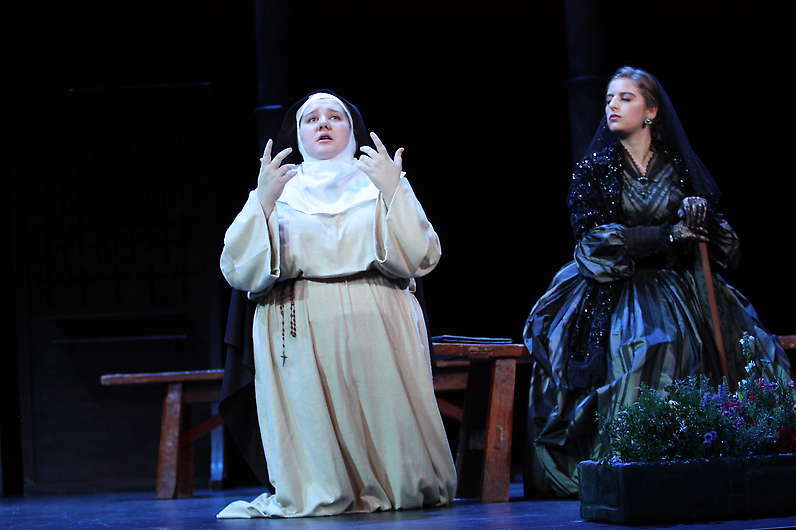 The aria was one of many heart-stopping moments in The Young Artists of The Mannes Opera’s matinee performance of Puccini’s one-act operas Suor Angelica and Gianni Schicchi. The performance, which was followed by a fully-staged encore that same evening, was the culmination of a “year’s worth of work” by Voice and Orchestra students from Mannes College The New School for Music, artistic director Joseph Colaneri said. 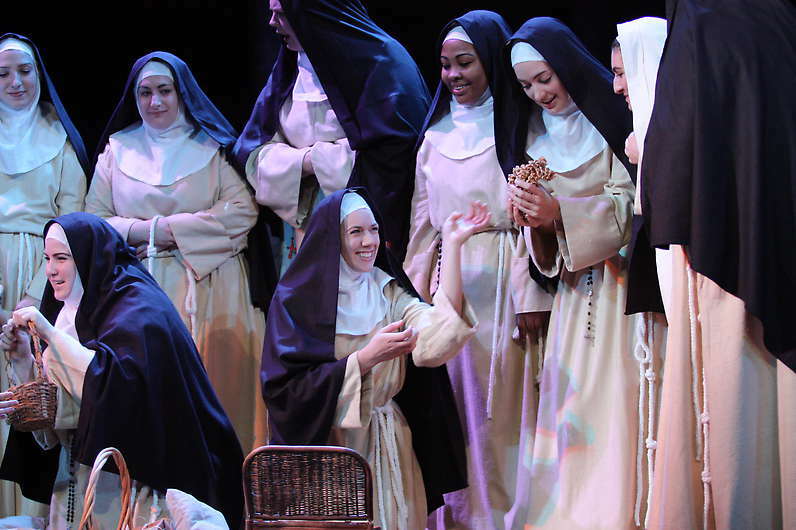 For Suor Angelica—the tragic story of a young royal who is exiled to a convent for conceiving her son out of wedlock—the stage was transformed into a dark, somber space; tall stone pillars stood ominously in the background, evoking the metaphorical prison in which Angelica finds herself. Since being cast out of her home, she has been awaiting word about her life outside the nunnery, including the status of her son. When her aunt, The Princess (played by Melanie Ashkar, PDPL, Voice ‘16), shows up to deliver the long-awaited news, Angelica is devastated. The next opera opened with another sorrowful scene—although in this case, it was hard to find sympathy for the characters. 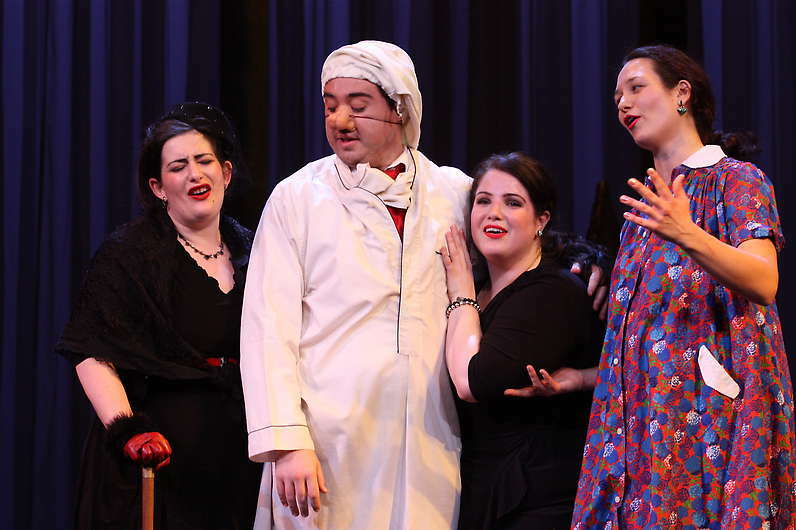 Gianni Schicchi centers on the family of wealthy businessman Buoso Donati, who are grieving not because their uncle has died, but because he has left their inheritance to a monastery. Desperate to right this perceived wrong, the family turns to the cunning Gianni Schicchi (played by Edward Cleary, PDPL, Voice ‘16) who hatches a madcap scheme to change Buoso’s will. 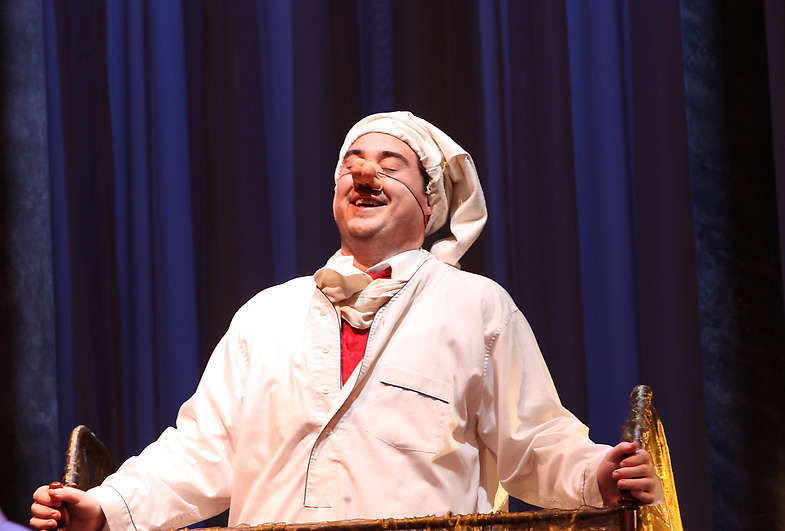 Cleary captured the charming, playful irreverence of the title character with finesse, prompting continuous bursts of laughter from the audience. None looked more pleased than Colaneri. 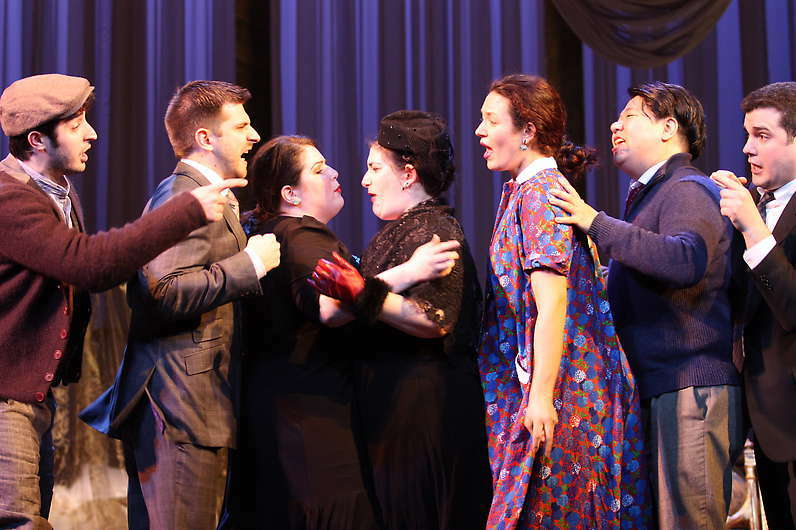 As Gianni Schicchi, came to a close, the director leaped from the pit to the stage and, along with stage director Laura Alley, took a bow with the cast. He had seen both tragedy and comedy that afternoon, but as the curtain closed, Colaneri was smiling.